If you think that men's morning ritual only involve shaving and bathing, think again! Men also like to spend a few minutes in front of mirror gazing at themselves thinking how to effectively handle their skin issues provided there are some great grooming products available at their disposal. When you wake up with dullness on your face, the reasons can be the dirt, grime or excess oil on your skin. The same goes for hair and scalp which might be feeling itchy or oily waiting to be washed. How about having access to a universal cleansing product for entire body including hair, body and face?? Sounds strange? North for Men Uulimited collection brings Unlimited Hair, Body & Face Wash (priced at Rs. 479 for 250ml) that gets everything covered. It perks your tired face up on those mornings after late night parties or overtime at office. A savior for sensitive, easily irritated skin; this product does complete justice for its multitasking capabilities. 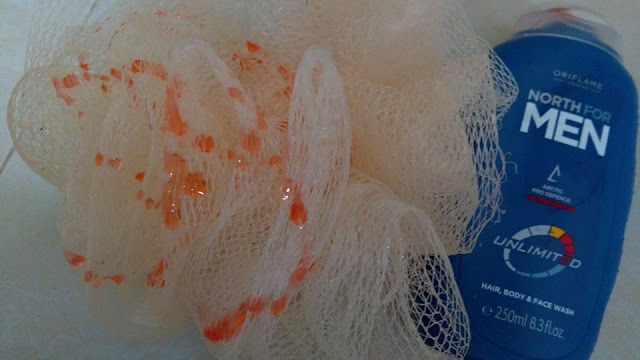 Bright red in color, medium thin in consistency and so energetic in fragrance; I'm by now a fan of it's good lather for a spa-worthy shower. It's super convenient when you don't have to switch to different products for body and hair under shower. If you're the one who slather shaving product on your face every morning, you definitely would love a classy move to Unlimited Shaving Foam (priced at Rs. 449 for 200ml). Many men would prefer shaving creams over foam for their age-old habit. 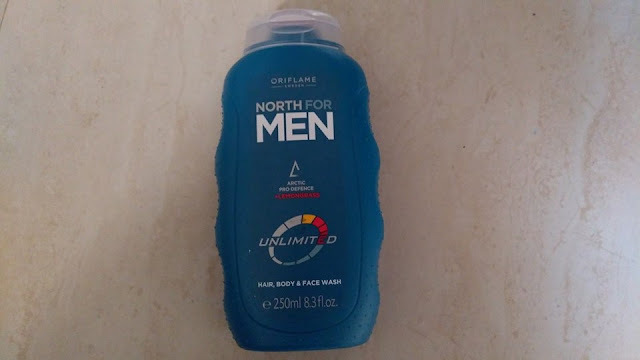 I personally wasn't much convinced of being comfortable with shaving foam, but Unlimited Shaving Foam goes on easy on skin, smells awesome and ensures a closer, smoother shave. This canned foam can be directly applied to wet face and can be smoothened on face with hands. 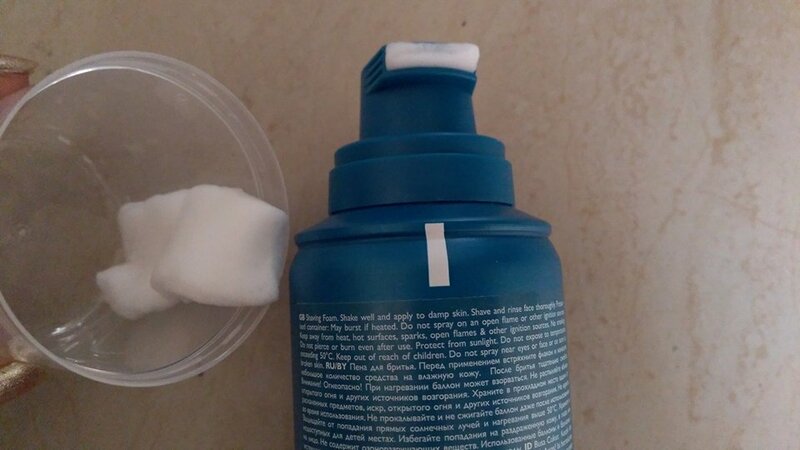 It'll save you those precious 2-3 minutes when you lather a traditional shaving cream using a brush. A shaving foam also makes it perfect for dry shaving for those who travel a lot. 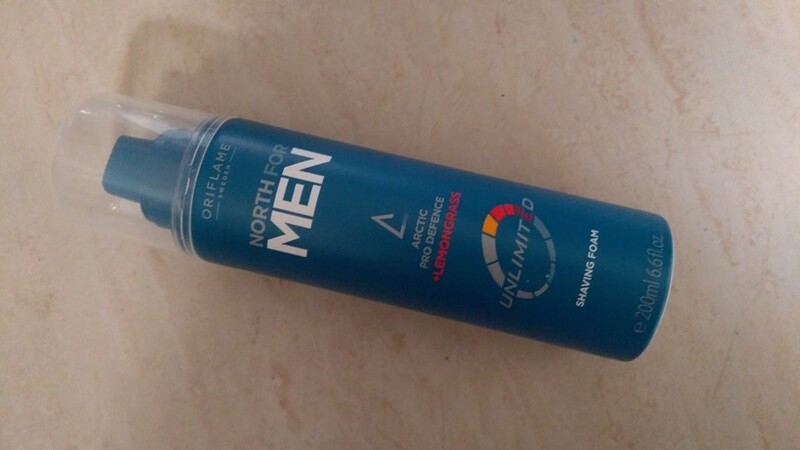 There may be chances that after buying and using a quality shaving cream/gel/foam, many men would skip investing in a aftershave lotion. Contrary to that, I believe "the key to an expert shave is in the last step." An aftershave is equally essential part of my shaving routine. 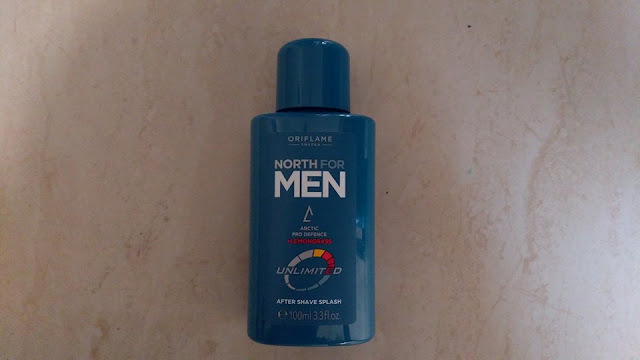 Currently I'm using Unlimited Aftershave Splash (priced at Rs. 449 for 100ml) that gently soothes irritated shaven skin and minimizes redness. The gentle formula wards off annoying burning sensation, if any. It prevents infections that may be caused due to tiny cuts left behind after shaving. Lemongrass essential oil infused in the formula pumps required moisture into skin for a relaxed feel. 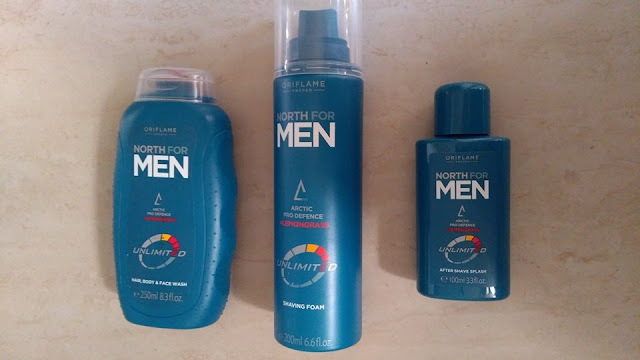 North for Men UNLIMITED is definitely a combo of excellent grooming stuff for gentlemen who love to master the art of looking good effortlessly.